The back cover kits are used instead of the back cover kit supplied with the Energysaver heater only when the heater is installed with the 'sideways' or 'down and out' flue system options. 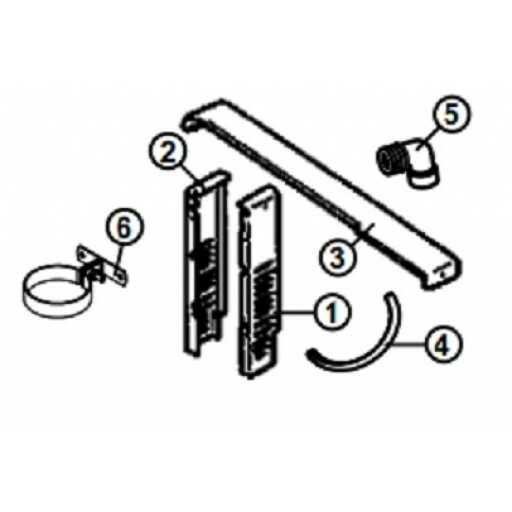 The back cover kits described in these instructions are not required for any other flueing options. All back cover kits comprise the components listed below. The dimensions vary to suit the various Energysaver heater models. Numbers relate to the image shown.